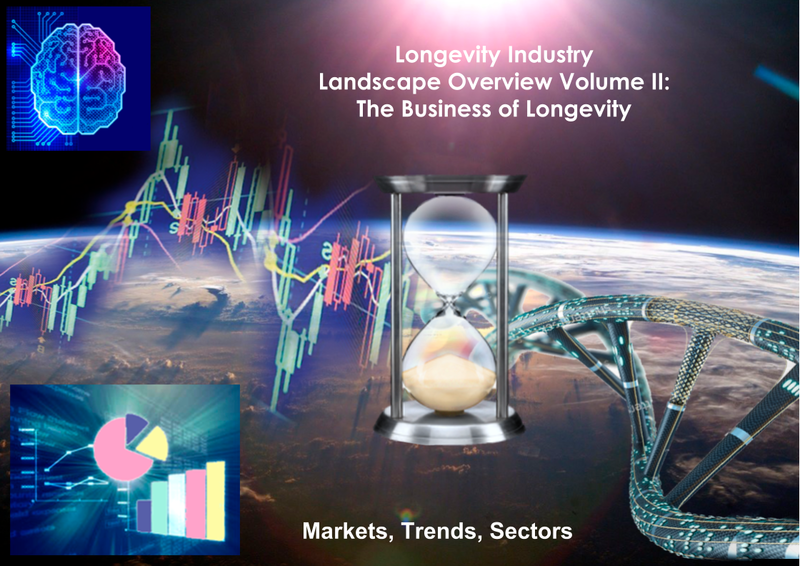 Wednesday, May 2, London, United Kingdom: The Global Longevity Consortium, consisting of the Biogerontology Research Foundation, Deep Knowledge Life Sciences, Aging Analytics Agency and Longevity.International platform, announce the publication of a new 650-page analytical report entitled Longevity Industry Landscape Overview Volume II: The Business of Longevity. This new report, standing at 650 pages, gives a more comprehensive look at the major players, companies, investors and influencers that comprising the emerging longevity industry globally. It categorizes, systematizes and individually profiles what we consider to be the top 100 longevity companies and VC firms, as well as the most prominent individual longevity investors and thought leaders. It offers a history of the longevity industry, its rise in 2016 and it’s full-blown emergence in 2017, forecasting the major trends and developments in the industry in the years to come, as well as discussing in detail what the major risks and roadblocks are moving forward, and the major items that stand to jeopardize the credibility and success of the industry. 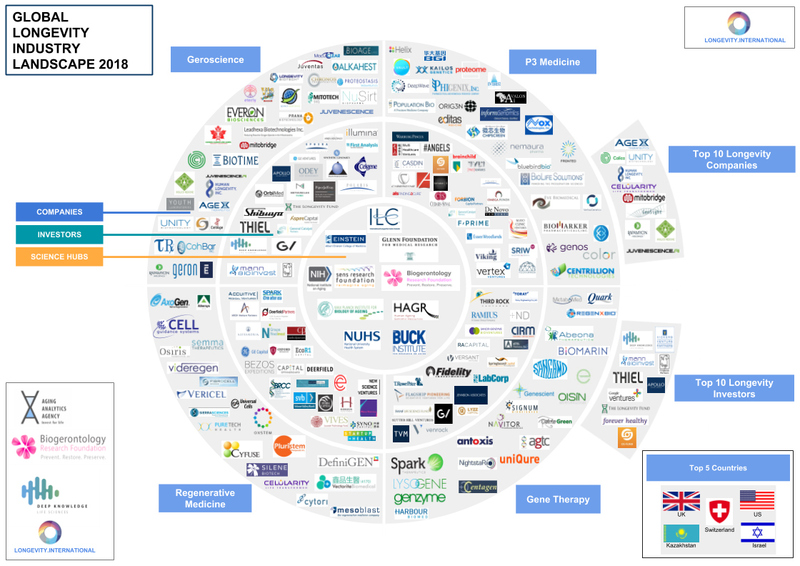 This report details the present state of personalised, precision, and preventive medicine (referred to hereafter as “P3” medicine), how it works in conjunction with emerging preventative medical technologies, and the prospects for the next five years. Interested readers can view the full report online, or can view the report’s infographic summary to get a brief but comprehensive overview of its contents. It follows on the heels of Volume I: The Science of Longevity, which set the landscape of geroscience against the backdrop of the ‘silver tsunami’ of global demographic aging. It summarised the history and current state of development in geroscience, and examined whether existing proposed solutions measure up to the impending problems. 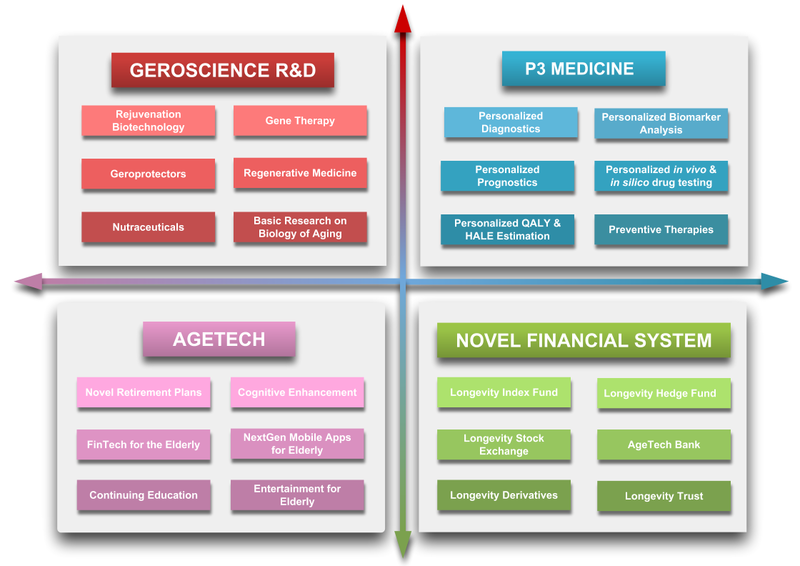 This first report tied together the progress threads of the constituent industries into a coherent narrative, mapping the intersection of biomedical gerontology, regenerative medicine, precision medicine, artificial intelligence, offering a brief history and snapshot of each. It also categorized, systematized and individually profiled 650 longevity-focused entities, including research hubs, non-profit organizations, leading scientists, conferences, databases, books and journals. The consortium behind these reports are interested in collaboration with interested contributors and institutional partners to assist with the ongoing production of these reports, to enhance their outreach capabilities and ultimately to enhance the overall impact of these reports upon the scientific and business communities operating within the longevity industry, and can be reached at info@longevity.international.